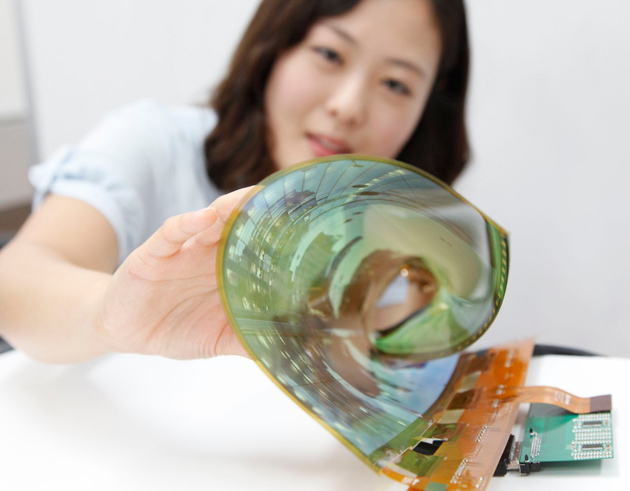 LG has released two new paper-thin TV panels, with one that is so flexible it can be rolled into a 3cm diameter tube. The company says it will produce a 60in (152cm) Ultra HD rollable TV by 2017. The new flexible panel has a resolution of 1,200×810, which is left undistorted even after it has been rolled into a 3cm cylinder. LG says the flexibility was achieved thanks to using a backplane made of “high molecular substance-based polyimide film” instead of plastic. The second panel is transparent and features a significant reduction in hazy images and a 30 per cent increase in transmittance, which is responsible for the screen’s transparent effect. The company has claimed its new screens prove they are on track for much larger, Ultra HD-capable flexible screens in the near future, asserting they are “confident” they can deliver a 60in rollable panel by 2017.